At 0318 hours Singapore Standard Time, a call for assistance was received from a distressed vessel at Eastern Anchorage. Grabbing his helmet, ready bag and life-vest, Sherwyn quickly suited up into his coverall and boots and immediately proceeded for deployment. 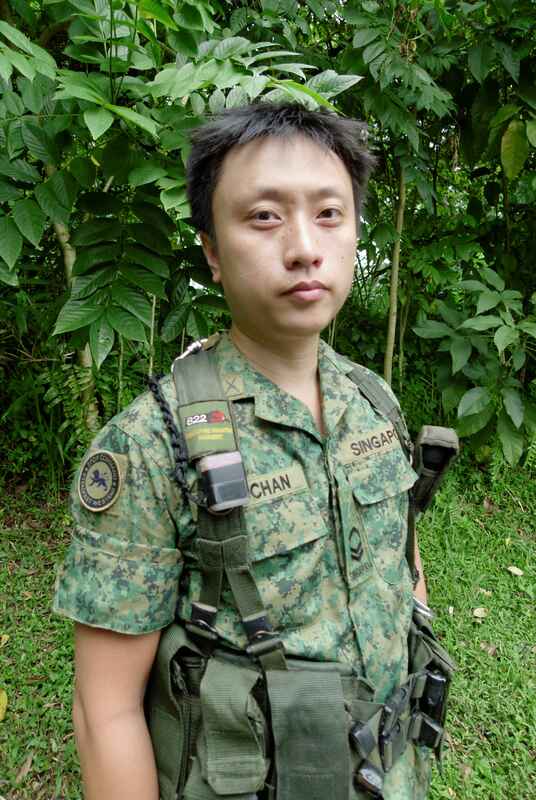 He is met by Nicholas Chan at West Coast Pier at 0348 hours who briefs him on the situation, hands him a loadout bag of equipment and parts for use onboard the vessel and pushes out to sea at 0358 hours, uncertain but ready. Working in the maritime sector is a non-stop 24/7 team effort. Needing to be able to rapidly and efficiently respond to on-call client requests at a moment’s notice, having a strong grip in order to climb up rickety rope pilot ladders 30 meters above a choppy sea in bad weather while carrying a backpack full of equipment and solving mission critical problems with limited resources and tight deadlines, these are situations not so very different from the duties we are entrusted with during our active National Service days and today in our NSMen times. Fredrik Marine is a small company managed, advised and staffed almost entirely of active NSMen. Since the company’s founding in 1992, the management has actively supported National Service as a platform for moulding and strengthening characters and post-National Service, as a means of “sifting the wheat from the chaff”; for us in management it has been and still is a good barometer of a person’s character to see if the individual-at-hand is equipped with crucial life skills and positive traits, on whether they thrive on challenges or run away from problems, whether they have a pro-active demeanour or consistently finds and gives excuses, if they are innovation and resourceful or live only for instructions, and whether they are outdoorsmen or a typical air-con addict. These exact same disciplines of commitment and duty matched with the core values that we uphold and look for in all our people are what our clients wholeheartedly count on us for and National Service plays a large part in this process. While it can be easy to see or even “play the victim” and blame In-Camp Trainings as a disruption to our daily work, we at Fredrik Marine recognize that In-Camp Trainings is essentially time to “sharpen the saw” both physically and mentally. It is also “time-off” for our staff to catch up with old friends in the spirit of camaraderie, getting some gym time and taking a short mental break from work and unwind. By proper strategic planning and the enactment of appropriate work policies, we do our best in ensuring that any work disruption is reduced to a minimum. As at 2012, we are proud to say that all our NSMen staffs have zero deferments due to work commitment for their In-Camp Trainings to date. However we also recognize the fact that business still has to go on regardless of whether or not we and our clients are able to cope with the fact that some of our staffs are away serving the nation. As a technology company, our people are our key assets. Taking a leaf from the Singapore Armed Forces playbook, we adopted an NSMen buddy stand-in policy to ensure peer coverage for work duties during each other In-Camp Training; this simple knowledge of our colleagues being able to fully trust each other in “I got your back covered” gives confidence both to the management and our clients. We also incorporated the concept of mission debriefing post-In-Camp Training for any learning points, new touch-points and resources that can be shared and assimilated by the rest of the staffs for the better operations of Fredrik Marine. 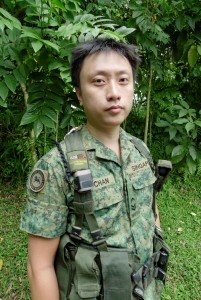 Additionally, the pervasive use of mobile/satellite communications technology and an in-house developed intranet also helps in enabling our staffs to respond in a timely fashion to any work commitments wherever they are, be they on an oil rig in the Songkla Basin to a military training area in the forests of Singapore. Without a prosperous economy, we have no stability in an ever-changing world. Without a harmonious society, we have no true peace. Without a national identity, we merely exist, not live. Without a civil defence, we have no assurance for the safety of our loved ones. Without a secure and safe country, we have no homeland to call our own.